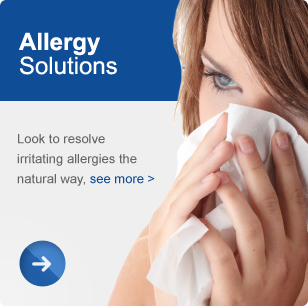 Are Allergy symptoms getting up your nose? sneeze at Allergies are caused when your body over-reacts to substances like pollens or foods that shouldn't normally cause you a reaction. Seeing the substance as a threat, your body mounts a strong immune defence against it, called a hypersensitivity reaction. (like a peanut allergy), whereas an acquired food allergy can be better described as a sensitivity or intolerance. 2. Inhaled or environmental allergies are by far the most common type of allergy. With pollen, fungi, mould, pet dander and dust mites causing the most grief. 3. Contact allergies occur when an allergen touches a person's skin. Common irritants include soaps, hair dyes, medications, household cleaners and many other synthetic products. 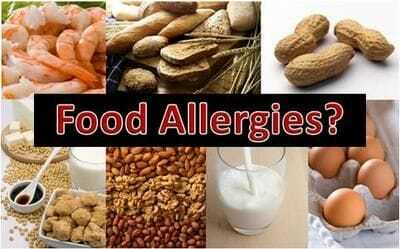 There are also conditions like eczema, ulcerative colitis and Crohn's disease that can also be improved by treating allergens that are infuriating or causing the symptoms. Normally, an allergic or over-reaction of your immune system is a warning that something is out of balance in your body and that you may be accumulating too many toxins. While allergy symptoms can be suppressed with antihistamines, a long-lasting cure requires a comprehensive identification of the allergic reaction and treatment of the underlying causes. To do this, we at Resolve Health and Wellness take a proactive approach to finding what is out of balance in your body and use a range of natural therapies to treat it, like those below. Often the allergy you are actually feeling the symptoms for will be a secondary allergy, and be presenting because of an allergy or intolerance to a central allergen. Central allergens are foods that appear regularly in your diet on a daily basis like dairy products, wheat and wheat products, food additives, coffee, chocolate, citrus fruits, corn, eggs, oats, nuts, gluten, yeast and glucose. Though you won't necessarily show any symptoms with an intolerance so it is possible for you to have no idea they are affecting you. When your body is overloaded with central allergens, it becomes so busy dealing with these that it can't cope with secondary allergens like pollen and mould, so it shows as an allergic reaction. This is why we've found that once we identify and treat reactions to central allergens, secondary allergies are dramatically reduced or no longer a problem. This electronic system provides visual and auditory signals corresponding to the patient's physiological status. It detects changes in physiological functions that are outside of normal awareness, amplifies these signals and provides this as feedback to the patient with the intention of promoting the healing process. Examples of use are pain reduction, muscle relation, stress reduction and reduction of allergic reactions. Bioresonance Therapy, is a non-invasive, gentle therapy that uses biophysics. When you are loaded with toxins or central allergens your immune system, the majority of which is located in your gut, does its job to fight off the foreign invaders. But when it has been battling for a long time without rest, your overstressed immune system can become overactive triggering allergic reactions. To counteract this response we provide you with a series of supplements and probiotics that are specifically designed to heal your gut and restore your immune system to its natural function. Don't let your allergies run your life, call us today on (07) 5525 2211 to be among our many patients who have dramatically reduced or eliminated their allergy symptoms permanently and naturally.